Robinsons Regatta Greenhouses - 5'4" wide. Robinsons Regent Greenhouses - 6'5" wide. Robinsons Royale Greenhouses - 8'6" wide. 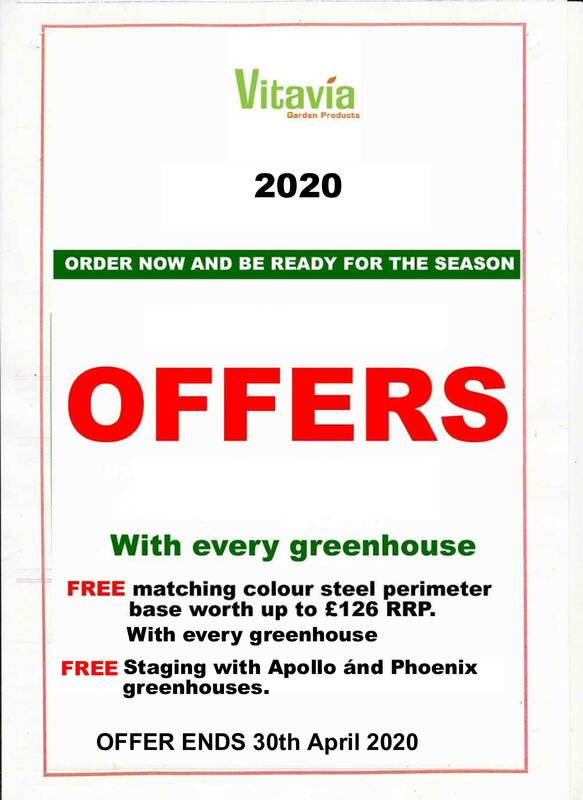 FREE delivery on all Vitavia greenhouses and accessories to the UK mainland except parts of Scotland.